Hauser R, Hauser M, Holian P. Dextrose prolotherapy for unresolved wrist pain. Practical Pain Management. 2009;Nov/Dec:72-79. The wrist is a very complex structure and is composed of eight small bones which are connected by ligaments. When these structures are injured, pain may result along with the inability to use the hand and/or the upper extremity – including the shoulder. Obviously, most people would consider use of the hands an essential function, thus properly treating the wrist pain/injury can greatly affect a patient’s quality of life. The articulation afforded the hand and the upper extremity by the wrist is essential for mobility, strength, and dexterity that most patients need to function in their daily lives. Animal studies have shown that prolotherapy stimulates the production of new collagen by initiating the normal inflammatory reaction. 16,17 Animal studies have also revealed ligament and tendon diameter and strength improvements with prolotherapy. 18-20 While prolotherapy is commonly taught and used for unresolved wrist pain, 21 no study has been done to date related to effectiveness. This observational study’s purpose was to evaluate the effectiveness of Hackett-Hemwall dextrose prolotherapy – not only on unresolved wrist pain but on quality of life measures, and its ability to reduce or eliminate the need for pain medications. In October 1994, the primary authors of this study opened a Christian charity clinic called Beulah Land Natural Medicine Clinic located in an impoverished area of rural southern Illinois. An all volunteer staff composed of MDs, RNs, clinical assistants, and administrative staff ran the clinic every three months until July, 2005. Hackett-Hemwall dextrose prolotherapy was utilized as the treatment of choice. Dextrose was selected because it is the most common proliferant used in prolotherapy. The patients traveled from many different areas of the country to receive prolotherapy – primarily from Kentucky, Missouri, and Illinois. The patients were seen and treated free of charge. Patients who received prolotherapy for their unresolved wrist pain in the years 2000 to 2005 were called by telephone and interviewed by an independent data collector (D.P.) who had no prior prolotherapy knowledge. General inclusion criteria were the following: at least 18 years of age, presence of an unresolved wrist pain condition that typically responds to prolotherapy, and a willingness to undergo at least four prolotherapy sessions, unless the pain remitted with fewer prolotherapy sessions. Typical wrist conditions that responded to prolotherapy included carpal instability, tendinopathy, ligament sprain, and wrist degenerative arthritis. Patients who were thought to have median nerve entrapment were not included. The 31 wrist pain patients each received prolotherapy for their painful condition using the Hackett-Hemwall technique of prolotherapy. Each patient received 20 to 30 injections of a 15% dextrose, 0.2% lidocaine solution with a total of 15 to 30cc of solution used per wrist. Injections were given into and around the painful and/or tender-to-touch areas of the wrist. Tender areas injected included the carpal bones, as well as ligament and tendon attachments in the wrist. The patients were asked to reduce or eliminate pain medications as much as the pain would allow. Only one person (D.P.) conducted the telephone interviews and obtained patient data. The patients were asked a series of questions related to pain and various symptoms before starting prolotherapy. Their response to prolotherapy was also detailed with an emphasis on the effect prolotherapy had on their wrist pain, stiffness, and quality of life. Data collection consisted of questions concerning years of pain, pain intensity, stiffness, number of physicians seen, medications taken, quality of life concerns, psychological factors and whether the response to prolotherapy continued after the prolotherapy sessions ended. An independent data analyst (D.G.) tabulated, graphed, and presented the results of the data collected by D.P. during the telephone interviews. The responses gathered from patients before prolotherapy were compared with the responses to the same questions after prolotherapy. Results were also calculated for two subgroups of patients who were either told that no other treatments were available in the opinion of the patients’ physicians or who were told prior to starting prolotherapy that surgery was their only option for their wrist pain. A matched sample paired t-test was used to determine statistically significant improvements in the before-and-after prolotherapy measurements for pain, stiffness, and exercise ability in all wrists, as well as the two subgroups described above. Complete data was obtained on a total of thirty-one wrist pain patients who met the inclusion criteria. Eighteen (63%) were female and thirteen (37%) were male, with an average patient age of 55 years. Patients reported an average wrist pain duration of four years and four months and the average patient saw 2.6 MDs before receiving prolotherapy. The average patient was taking 1.1 pain medications prior to receiving prolotherapy. Fourteen (45%) were told by their physicians that no other treatment options for their chronic wrist pain existed. Five (16%) stated that the only other treatment option given for their wrist pain was surgery. A summary of the patient demographics is presented in Table 1. Patients received an average of 3.6 prolotherapy treatments per wrist. The average time of follow-up after their last prolotherapy session was twenty-two months. Patients were asked to rate their pain and stiffness levels on a scale of 1 to 10 with 1 being no pain/stiffness and 10 being severe crippling pain/stiffness. Ending pain and stiffness levels were both 1.4 after prolotherapy. whereas after prolotherapy zero reported a pain level of 5 or greater, while 90% had achieved a pain level of two or less. Ninety-seven percent of patients reported improvement in pain, with 88% showing improvement in stiffness after prolotherapy. Over 90% reported that pain and stiffness improvements have been sustained 100% since their last prolotherapy treatment. 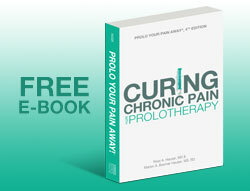 Ninety percent of patients stated prolotherapy relieved them of at least 50% of their pain. Sixty-one percent received greater than 75% pain relief. Ninety-seven percent of patients achieved at least 25% pain relief with prolotherapy. In regard to pain medication usage, before prolotherapy the average patient was taking 1.1 pain medications, but this decreased to 0.2 medications after prolotherapy. Prior to prolotherapy 17 (55%) of the patients were taking one or more medications, but at follow-up, 22 months after their last prolotherapy session, only 7 (23%) patients were taking one pain medication. 100% of patients who were not taking pain medications at the time their prolotherapy sessions ended never returned to needing pain medications. Eighteen patients (58%) reported wrists with incomplete range of motion before prolotherapy. After prolotherapy, only six (19%) patients reported incomplete range of motion in their wrists (see Figure 3). Patients average wrist crepitation was 2.8 before prolotherapy, but only 1.5 after prolotherapy. 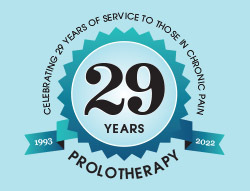 In regard to quality of life issues prior to receiving prolotherapy, 80% were totally independent in activities of daily living, but this increased to 94% after prolotherapy. In regard to exercise ability before prolotherapy, only 36% could exercise greater than 30 minutes, but after prolotherapy this increased to 87%. Feelings of depression were reported in 32% and feelings of anxiety were reported in 38% of the patients prior to prolotherapy treatment. After prolotherapy, feelings of depression were reported in 10% and feelings of anxiety were reported in 16% of the patients (see Figures 5 and 6). Interrupted sleep due to wrist pain was reported by 55% of the patients prior to prolotherapy treatment while improvement in sleep was reported by 82% of the patients after prolotherapy treatment. 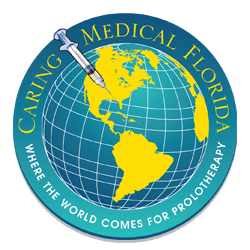 To a simple yes or no question, “Has prolotherapy changed your life for the better?” All of the patients treated answered “yes.” Seventy-seven percent of the patients reported that, overall, greater than 75% of their improvements resulting from prolotherapy remained positive after prolotherapy treatments ended. Of those whose pain/disability had increased since stopping the prolotherapy, 81% noted reasons for this occurrence. Fifty-five percent claimed the prolotherapy was stopped too soon (before 100% pain relief was achieved). Twenty-two percent reported a re-injury to the area. One hundred percent of patients knew someone who had received prolotherapy. Sixty-eight percent came to receive their first prolotherapy session on the recommendation of a friend. One hundred percent of patients have recommended prolotherapy to someone. As previously noted, prior to prolotherapy 14 (45%) patients were told no other treatment options were available for their wrist pain. As a group they suffered with pain an average of 66 months. Analysis of these patients revealed a starting average pain level of 6.2 and a post-prolotherapy pain level of 1.5. Wrist stiffness averaged 4.0 prior to prolotherapy treatments and improved to 1.5 after completing the treatments. Eleven out of fourteen (78%) achieved 50% or greater pain relief. Prior to prolotherapy only 36% of the patients could exercise longer than 30 minutes, but this increased to 78% after prolotherapy. Five patients (16%) were told that surgery was the only option available to eliminate their wrist pain. Their average pain duration prior to prolotherapy was 39 months. Their starting average pain level was 4.8 before prolotherapy, which declined to 1.2 after prolotherapy. Reported wrist stiffness was 1.8 prior to prolotherapy and 1.0 after completing their prolotherapy treatments. All five patients (100%) exhibited 50% or greater pain relief. One out of five of the patients could exercise longer than 30 minutes prior to prolotherapy, but this number increased to four out of five after prolotherapy (see Table 2). A matched sample paired t-test was used to calculate the difference in responses between the before and after measures for pain, stiffness, and exercise ability for the 31 patients—including the subgroup of 14 patients who were told by their medical doctor(s) that no other treatment options were available, and the subgroup of five patients who were told by their medical doctor(s) that surgery was their only option. Using a paired sample t-test, all p values for pain in all three groups reached statistical significance at the p<.008 level. The p values for stiffness in the total group (31 patients) with wrist pain and the subgroup of 14 patients reached statistical significance at the p<0.004 level. The p values for exercise ability, for the 31 total patients with wrist pain and the subgroup of 14 patients, reached statistical significance at the p<0.0001 level (see Table 2). Figure 3. Range of motion levels before and after receiving Hackett-Hemwall dextrose prolotherapy in 31 patients with unresolved wrist pain. Figure 4. Exercise ability before and after receiving Hackett-Hemwall dextrose prolotherapy in 31 patients with wrist pain. Table 2. Summary of results for retrospective study of patients with wrist pain treated with destrose prolotherapy. Hackett-Hemwall dextrose prolotherapy treatments have produced statistically significant improvements in wrist pain, stiffness, and quality of life measurements in this unique patient population as concluded from this retrospective, uncontrolled, observational study. More specifically, Hackett-Hemwall dextrose prolotherapy for chronic wrist pain resulted in 61% of patients achieving greater than 75% pain relief; with 90% achieving 50% or more pain relief. Pain and quality of life improvements were reported in 100% of the patients after receiving prolotherapy for their wrist pain. Substantial improvements in other quality of life areas including stiffness, range of motion, depression, anxiety, sleep, exercise ability, and medication usage was also reported in this prolotherapy study. Data analysis for the nineteen patients (61%) in the “no other treatment options available” subgroup or the “surgery was their only option” subgroups showed notable improvements in pain, stiffness, and exercise ability with Hackett-Hemwall dextrose prolotherapy. This study admittedly does not compare to a clinical trial under controlled conditions. As a retrospective study, we are examining the response of patients with unresolved wrist pain to the Hackett-Hemwall technique of dextrose prolotherapy at a volunteer medical clinic. Noticeable strengths of the study relate to the number of parameters studied which are vital to helping patients with wrist pain again achieve the ability to function in their daily lives. Parameters such as range of motion, stiffness, athletic (exercise) ability, sleep, anxiety, depression, use of pain medication, in addition to pain level, are important factors affecting the person with unresolved wrist pain. The improvement in such a large number of variables treated solely by prolotherapy is likely to have resulted from the prolotherapy, rather than by chance. So while there is no medical test to document pain improvement or the progress with prolotherapy, an increased ability to exercise, sleep, and use less medications are objective changes that are noted. Nineteen patients (61%) were either told by their MDs that no other treatment option for their pain was available or that surgery was their only option. Clearly this patient population represented chronic unresponsive pain. An average follow-up period of twenty-two months since their last prolotherapy session, along with the fact that 100% of the patients reported lasting improvements in their wrist pain, indicated that the changes were due to the prolotherapy treatments. Because this was a volunteer free medical clinic with limited resources and personnel, the only therapy that was used was prolotherapy. The prolotherapy treatments could only be given every three months. 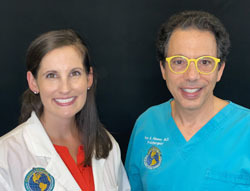 In private practice, the Hackett-Hemwall technique of dextrose prolotherapy is typically given every four to six weeks. In a patient who is not progressing as desired and/or who has poor healing ability, the prolotherapy solutions may be changed and strengthened. The patient may also be advised on additional measures to improve their overall health and may include advice on diet, supplements, exercise, weight loss, changes in medications, additional blood tests, and/or other medical care. Private patients are immediately weaned off anti-inflammatory and narcotic medications that inhibit the inflammatory response needed to produce a healing effect from prolotherapy. Since this was not done at this clinic, the results of this study are an indication of the minimum level of success with Hackett-Hemwall dextrose prolotherapy. This makes the results even that much more impressive. A shortcoming of our study is the subjective nature of some of the evaluated parameters. Subjective parameters of this sort included pain, stiffness, anxiety, and depression levels. The results relied on the answers to questions by the patients. X-ray and MRI correlation for diagnosis and response to treatment was also lacking. Limited physical examination documentation in the patients’ charts made categorization of the patients into various diagnostic categories impossible. Hackett-Hemwall dextrose prolotherapy was shown to be very effective in eliminating pain, stiffness and improving the quality of life in this group of patients with unresolved wrist pain. This included the subgroup of patients told that no other treatment options were available or that surgery was their only option. Current conventional therapies for unresolved wrist pain include medical treatment with analgesics, non-steroidal anti-inflammatory drugs, anti-depressant medications, steroid injections, trigger point injections, muscle strengthening exercises, bracing, physiotherapy, rest, massage therapy, manipulation, acupuncture, education, and counseling. The results of such therapies are typically short term and often leave the patients with unresolved pain. When these treatments fail, the surgical procedure most often recommended for those with chronic unresponsive wrist pain is wrist arthrodesis. 22 Wrist arthropathy occurs most often in the scapholunate joint from resultant scapholunate ligament injury and resultant instability. 23 A common finding associated with the development of wrist arthropathy is carpus instability or laxity of the intercarpal ligaments. Typically trauma to the carpal ligaments results in abnormal joint reaction forces with each movement of the wrist. The process produces degeneration of the articular cartilage, resulting in radiocarpal arthritis, selective intercarpal arthritis, or pancarpal arthritis, depending on the initial injury and subsequent healing. Wrist degenerative arthritis is nearly identical to arthropathy in other joints, including the hip and knee. The principle problem is loss of articular cartilage between the carpal bones and/or the metacarpal and distal radius. Surgery is indicated for wrist arthritis when disabling pain emerges despite non-operative treatment. Traditional surgical treatments aim to rectify the anatomic position and to correct the carpal instability to prevent degeneration of the wrist. Presumably, the same occurs with prolotherapy to the wrist. The goal of the prolotherapy treatment is to eliminate pain and prevent further degeneration by stimulating the injured ligament(s) to heal. If the arthritic process has progressed, prolotherapy helps to stabilize the unstable joints. Unlike wrist fusion, however, prolotherapy for chronic wrist pain, as indicated in this study, helps improve range of motion, not diminish it. Because this subgroup study population of only five patients that looked to prolotherapy as an alternative to a surgery had great results with prolotherapy, further research is warranted into using prolotherapy as an option to wrist surgeries such as arthrodesis. Thirty-one patients with an average pain duration of 52 months, were treated quarterly with Hackett-Hemwall dextrose prolotherapy in a free medical clinic. Included in this group were nineteen patients (61%) who were told by their medical doctor(s) that no other treatment options for their pain were available or that surgery was their only option. Patients were contacted an average of 22 months following their final prolotherapy session and asked questions via telephone interview regarding levels of pain, stiffness, other physical and psychological symptoms, as well as questions related to activities of daily living, before and after their last prolotherapy treatment. Improvements in many quality of life parameters were achieved in this patient population who received the Hackett-Hemwall dextrose prolotherapy for their wrist pain. This patient population experienced wrist pain for an average of four years and four months prior to receiving treatment. Upon interview at twenty-two months, on average, after their last prolotherapy sessions, this study revealed improvement in patients’ quality of life parameters such as pain, stiffness, depression and anxiety, medication usage, as well as range of motion, sleep, and exercise ability. This included patients who were told no other treatment options existed or that surgery was their only option for their unresolved wrist pain. Ninety percent of patients had 50% or more pain relief and 88% felt improvement in their stiffness levels. All patients who were taking pain medications prior to receiving prolotherapy were able to reduce the frequency of required medications after receiving prolotherapy. Since this pilot study found such significant improvements in these participants with chronic unresolved wrist pain, further studies under more controlled circumstances and with larger patient populations should be done. 2. Lichtman DM et al. The Wrist and Its Disorders. W.B. Saunders Co. Philadelphia. 1997. 3. Snider RK. Hand and wrist. In: Essentials of Musculoskeletal Care. 2nd ed. American Academy of Orthopaedic Surgeons. Rosemont, IL. 1997. pp160-263. 20. Hackett G. Back pain following trauma and disease–Prolotherapy. Military Medicine. July 1962. pp 517-525. 21. Hauser R et al. Prolo Your Pain Away! Third Edition. Beulah Land Press. Oak Park, IL. 2007. pp 126-138. 22. Jebson PJ et al. Wrist arthrodesis: review of current technique. J Am Acad Orthop Surg. 2001. 9(1): 53-60. 23. Watson HK and Ballet FL. The SLAC wrist: scapholunate advanced collapse pattern of degenerative arthritis. J Hand Surg (Am). 1984. 9(3): 358-365. 25. Alternative treatments: Dealing with chronic pain. Mayo Clinic Health Letter. April 2005. 26. Reeves K. Prolotherapy: Basic science, clinical studies and technique. In: Lennard TA, Ed. Pain Procedures in Clinical Practice, 2nd ed. Hanley and Belfus. Philadelphia, PA. 2000. pp 172-190. 27. Liu Y. An in situ study of the influence of a sclerosing solution in rabbit medial collateral ligaments and its junction strength. Connective Tissue Research. 1983. 2: 95-102. 28. Maynard J. Morphological and biomechanical effects of sodium morrhuate on tendons. Journal of Orthopaedic Research. 1985. 3: 236-248. 30. Frank C. Optimization of the biology of soft tissue repair. Journal of Science and Medicine in Sport. 1999. 2: 190-210. 31. Hubbard T. Ankle ligament healing after an acute ankle sprain: an evidence-based approach. Journal of Athletic Training. Sept-Oct 2008. pp 1-3. 32. Alderman D. Prolotherapy for Knee Pain. Pract Pain Manag. Jul/Aug 2007. 7(6): 70-79. 33. Chaudhari A. Knee kinematics, cartilage morphology, and osteoarthritis after ACL surgery. Medicine and Science in Sports and Exercise. 2008. 40:215-222. 34. Schmitt, L. Instability, laxity, and physical function in patients with medial knee osteoarthritis. Physical Therapy. 2008. 88: 1506-1516. 35. Tan AL. Combined high-resolution magnetic resonance imaging and histological examination to explore the role of ligaments and tendons in the phenotypic expression of early hand osteoarthritis. Annals of Rheumatic Diseases. 2006. 65: 1267-1272. 36. Hill C. Cruciate ligament integrity in osteoarthritis of the knee. Arthritis and Rheumatism. 2005. 52: 794-799. 37. Weiss AP. Osteoarthritis of the wrist. Inst Course Lect. 2004. 53: 31-40. Medline. 38. Brown DE et al. Midcarpal instability. Hand Clin. 1987. 3(1): 135-140. 39. Fullerton B. High-resolution ultrasound and magnetic resonance imaging to document tissue repair after prolotherapy: a report of 3 cases. Archives of Physical Medicine and Rehabilitation. 2008. 89: 377-385.